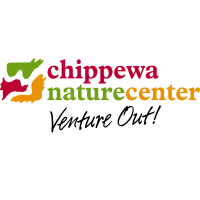 Chippewa Nature Center (CNC), located at 400 S Badour Rd in Midland, will host Nature Preschool Institute, an educator workshop, June 10-13 from 8:30 am to 4:30 pm each day. The workshop will provide educators with information and skills to incorporate nature-based concepts into daily preschool routines while maintaining the integrity of their best practice curriculum. On Monday, participants will spend the day learning about the benefits of nature-based programming, discussing outdoor risks, learning various seasonal activities, and creating props and materials for implementing these concepts. Tuesday, Wednesday and Thursday mornings, participants will observe Nature Preschool students and staff in a typical day of the program. The afternoons will include reflections on the morning session, basic natural history and information to focus the observations for the following day. The $400 fee includes materials and lunch each day. Pending approval, 24 State Continuing Education Clock Hours (SCECHs) are available. Participants may register online at www.chippewanaturecenter.org, by phone at 989.631.0830 or in person at CNC. For more information about Nature Preschool Institute, contact Madison Powell at mpowell@chippewanaturecenter.org or 989.631.0830. For more information about CNC and Nature Preschool, visit www.chippewanaturecenter.org.